Since 2013, 160 school shootings have occurred, which includes colleges and universities, according to EveryTown for Gun Safety, a nonprofit organization aimed at decreasing gun violence. What communications do students and parents expect when such a tragedy takes place? Real-time updates are expected for those on-site, but what about updates for the loved ones not present? Real-time push notifications became federally mandated for colleges and universities following the Virginia Tech shootings (Higher Education Opportunity Act of 2008). So the issue is not whether we communicate regarding an emergency, but who should receive real-time communications, and how? According to Mary Ellen McIntire and Ellen Wexler, community colleges are aware they need to provide crisis communications but are outpaced by four-year colleges due to fewer campus safety personnel and a fluid and open enrollment. The shooting in Fall 2015 at Umpqua Community College, a rural college in Oregon, revealed low-level security on-site, consisting of one unarmed security guard for a campus of 15,000 students (or 3,000 full-time equivalent students). Initial reports say the campus emergency notification systems (via text and campus computer screens) failed, although I could not verify a final finding to confirm or deny that claim. UCLA uses BruinAlert, a mass notification and advisory system, available only to individuals with a campus ID—so communications are intentionally limited to students, faculty and staff. The BruinAlert system is multifaceted and more interactive than an ENS system. During an emergency, BruinAlert sends official messages to campus emails, distributes text messages, posts to the University Twitter account, broadcasts on a 24-hour emergency AM radio station and the campus television station, sounds outdoor siren and voice warning systems, and operates an 800 number with pre-recorded information. This system allows outsiders to inquire and get updated information through a variety of channels. It is not surprising that in our era of personalized technology, the trend is moving toward individuals using mobile apps to which a community or school subscribes and the app facilitates personal safety and two-way communication. University of Delaware uses LiveSafe to facilitate communication from its 17,000 students to its campus police. Students can inform campus police about crimes in progress. But the app can also be used as a mass communications system for campus police. Mark Seifert, University of Delaware Emergency Management Director, recognizes the need for an ENS system, but credits LiveSafe as a two-way communication device needed for incidents that may not reach the level of university-wide emergency. Parents want additional communications from the campus and from their student. Students, faculty and staff want reliable communications systems that push real-time information to the campus community but also enable them to share that information with others who may not be in the same place. In an era of increased gun violence on campuses, a heightened awareness of personal safety and increased expectations for communications, ENSs are necessary but insufficient to communicate during a disaster. Schools and colleges should consider offering or facilitating more robust, two-way communications platforms from mobile apps. 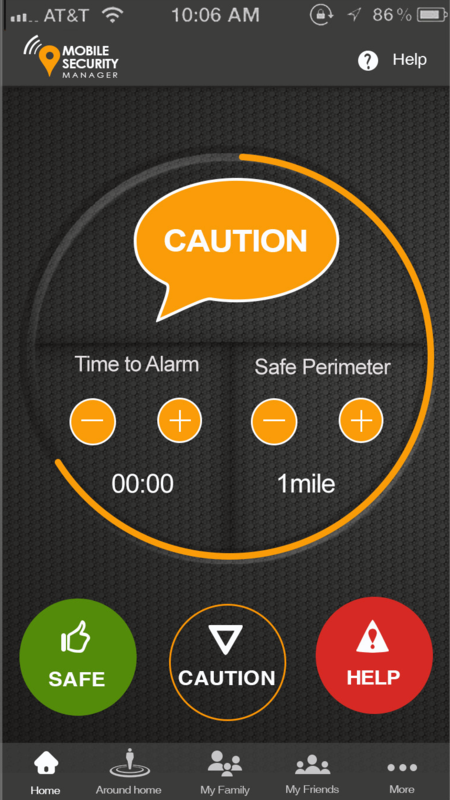 In addition to LiveSafe, Lifeline Response, Circle of Six and Mobile Security Manager are all personal security apps that turn a mobile phone into a personal safety device. These apps can alert family or friends if the user feels uncomfortable or breaches a perimeter, and some can automatically record live video and audio in panic mode. Author: Haley Myers is founding director of Sacramento State’s Parents & Families Program. Before working in student affairs, she worked as capitol director in the California State Assembly. Before working in the public sector, she worked in publishing as an editor. Haley has a master’s degree in Public Policy and Administration from Sacramento State and a bachelor’s degree in English from Cal Poly, San Luis Obispo. Contact her at [email protected].